Introducing the Hippo Chow Down. This interactive inflatable is completely new to the inflatable industry. 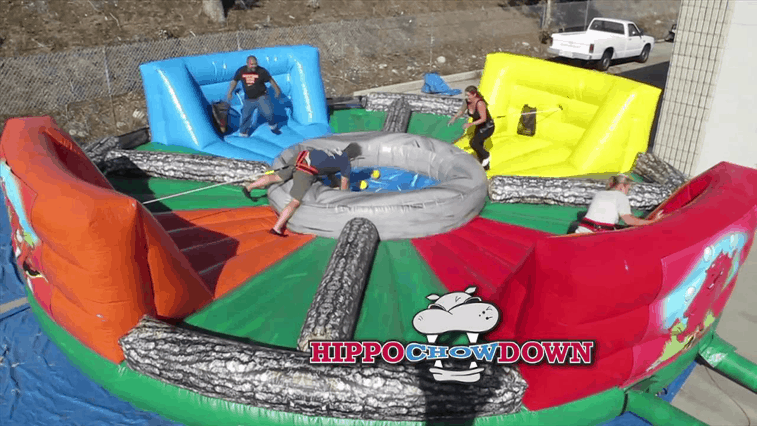 Just like the Hungry Hippo game board game; 4 players attached to bungee cords try to collect as many ball from the pit as possible. The player with the most balls wins. This will be a huge hit at your event. Great for Schools, Churches, & Corporate Events.